Former state Senate Minority Leader and Democrat Gretchen Whitmer won the Michigan gubernatorial race Tuesday, serving a solid defeat to her Republican opponent, Michigan Attorney General Bill Schuette. Whitmer, who has had a handle on this race for the majority of the campaign, has been leading by double digits in several polls in the weeks leading up to the election, won the race for governor with 52.9 percent of the vote to Schuette’s 44.2 percent, according to The Associated Press. 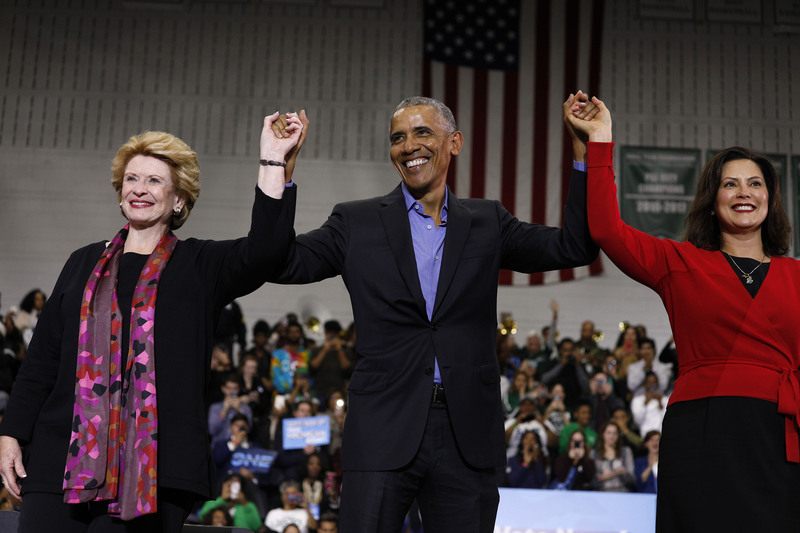 President Donald Trump won Michigan in 2016 by a narrow margin in a state that was considered a swing state and one that was widely considered ignored by then-Democratic presidential candidate Hillary Clinton. Whitmer, 47, positioned herself as a bipartisan problem solver who worked with term-limited incumbent Republican Gov. Rick Snyder on several issues, including expanding Medicare. While Schuette had the backing of Trump and Vice President Mike Pence after winning the primary election, the attorney general mentioned the administration less as the campaign went on until Pence attempted to boost Republican candidates throughout the state in October. Other members of Trump’s circle, including Counselor to the President Kellyanne Conway and presidential attorney Rudy Giuliani endorsed Schuette for the position, but it wasn’t enough to swing enough voters his way. Hollywood entered this gubernatorial race for Whitmer, who was joined on the campaign trail by actress and #MeToo activist Alyssa Milano. Whitmer fended off progressive candidate Abdul El-Sayed to win the Democratic gubernatorial primary in August, who had received support from major left-wing figures including Vermont Independent Sen. Bernie Sanders, Democratic congressional nominee and socialist activist Alexandria Ocasio-Cortez and Women’s March Organizer Linda Sarsour.